Kadena’s fleet of F-15 fighters were cleared to fly again after going through an inspection after a brief period when all of the planes in the squadon were grounded following a crash a week ago. Kadena-based F-15 fighter planes are in the air again after briefly having been grounded following a crash more than a week ago. 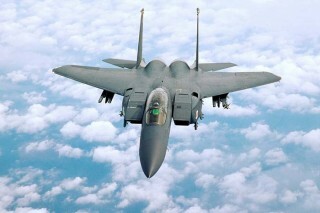 The F-15 squadron’s planes were all ordered parked on the tarmac pending inspections, and those inspections are complete. 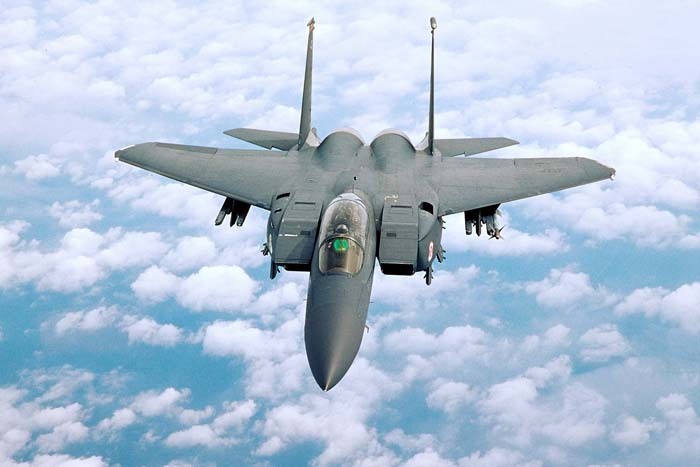 The 18th Wing at Kadena cleared the aircraft, while noting no cause has been determined for the F-15 that went down some 70 miles east of Okinawa less than two weeks ago. Okinawa Governor Hirokazu Nakaima had joined those demanding that flights by F-15 fighter jets be suspended after the F-15 fighter crashed into the sea a week ago Monday. “The crash fueled the anxiety of the people of Okinawa, who are forced to live side by side with U.S. bases,” Nakaima said in a statement after the plane went down about 8:45 a.m. during an exercise. There were no casualties and the pilot was rescued by Japanese Self Defense Forces shortly after he ejected. Nakaima still complained though, noting the accident could have caused death and damage to property. The governor is calling for measures to prevent such an accident from occurring again, and is demanding the U.S. air Force improve the safety of flight operations.